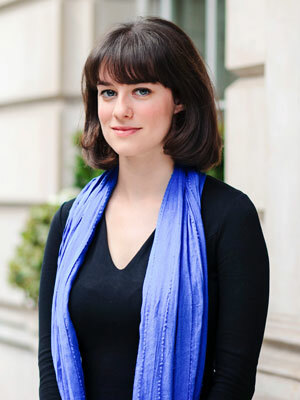 Sarah Fink is Head of Research at the Centre for Entrepreneurs, leading on a programme of work that explores the entrepreneurial community in the UK, covering topics aimed at policymakers, investors, the media, and entrepreneurs themselves – as well as those considering entrepreneurship. The Centre for Entrepreneurs promotes the role of entrepreneurs in creating economic growth and social well-being, acting as a voice for individual entrepreneurs, big or small, aspiring to grow their businesses. The activities of the Centre are focused on providing advocacy, research and campaigns, thought-leadership and resources. On Monday 20th April 2015, a report was published by the Centre for Entrepreneurs in partnership with Barclays that unravelled how gender influences entrepreneurial ambitions and risk taking. At the Centre for Entrepreneurs, we are particularly interested in shattering wrongly-held assumptions about entrepreneurship. One such assumption I’ve encountered time and time again is that women just aren’t as ambitious about growing their business as men. 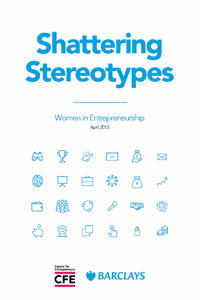 To dig deeper into this, and more, we partnered with Barclays to unravel how gender influences entrepreneurship. We kept a particular focus on the perspective and experience of women entrepreneurs. Yet our report aims to refrain from sweeping generalisations. It’s not about biology. Instead, we draw from the data and research to discuss the social and historical context in which both male and female entrepreneurs work. I think it is important to remind the readers that the findings are the result of averages: many will find their own experiences differ. Often, there is more variation within the genders than between them. We also stress that we have focused our research on a highly successful group of C-suite executives and entrepreneurs. They are those who have made it beyond the start-up phase of the business lifecycle and are running an established firm. We wanted to have a better understanding of what women face in their first year of business, beyond the start-up phase, and looking into the future. To achieve this understanding, we conducted survey research on 483 C-suite executives and entrepreneurs from UK businesses demonstrating an annual turnover in excess of £2 million, spanning a variety of sectors and industries. The polling was supplemented with 20 phone interviews with female entrepreneurs and an online focus group with eight participants. The findings are fascinating and shatter the stereotypes that many of us hold about the entrepreneurs. The women in our sample show greater entrepreneurial ambitions than their male counterparts and are just as interested in growth. 69% of female C-suite executives are very or extremely interested in starting a business in the next three years, compared to 29% of their male counterparts. Less than 18% of male entrepreneurs say they are very or extremely interested in starting another business in the next three years, compared to more than 47% of female entrepreneurs. 90% of men and 92% of women who are executives stated that they are very or extremely interested in growing their business in the next three years. Today, women are seen to be more risk averse than men and there is evidence to support this perception. Economic experiments estimate women are 20% more risk averse than men. Risk-taking and overconfidence are the two most persistent gender differences across numerous studies. 91% of women and 86% of men report that others would describe them as fearless in the face of failure. 87% of the women in this group see themselves as financial risk-takers, compared to 73% of men. 80% of women say they see opportunities where others might see risk, with 67% of men reporting the same. 92% of women report that they are good at both identifying and mitigating risks, compared to 88% of men. 24% of women said it was a bad time to take on risk due to personal finances, with 6% of men reporting the same. 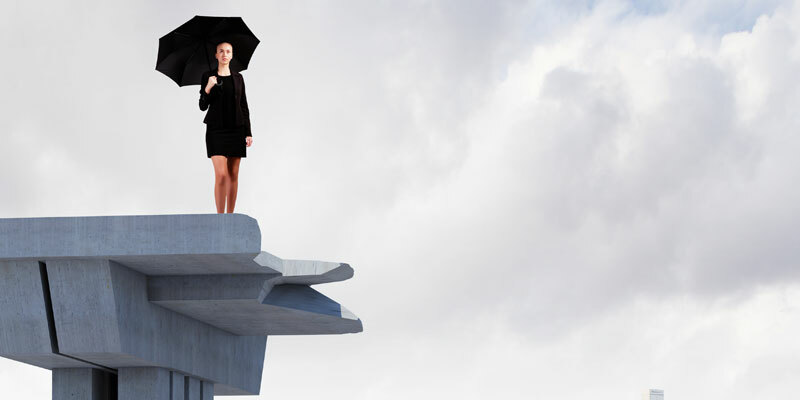 18% of women will report that a risk is unlikely to pay, compared to 6% of men. 62% of male entrepreneurs say their businesses are prospering compared to 42% of women, despite the fact that the female-run business in our sample report higher profit before tax. Assume women have strong growth ambitions, while recognising that they see and experience more barriers to growth. Be alert to how over- and under-confidence can skew business owners’ perceptions of the health of their businesses. They must calibrate success potential with objective measures rather than relying on perceptions. Understand women are quite willing to take risks, but they are also more sensitive to risk, and this vigilance can be an asset. Recognise that entrepreneurs are not a homogeneous group and that there are different, but still successful models of growth. Understand that in the scale-up phase, women focus on long term sustainability of the business, not simply rapid growth to position themselves for exit. And finally, there is reason to celebrate. Women-led small and medium-sized enterprises already add £70 billion to the UK economy. As they scale-up, it is imperative that we recognise and support the women who are entrepreneurial role models.